this is wonderful. 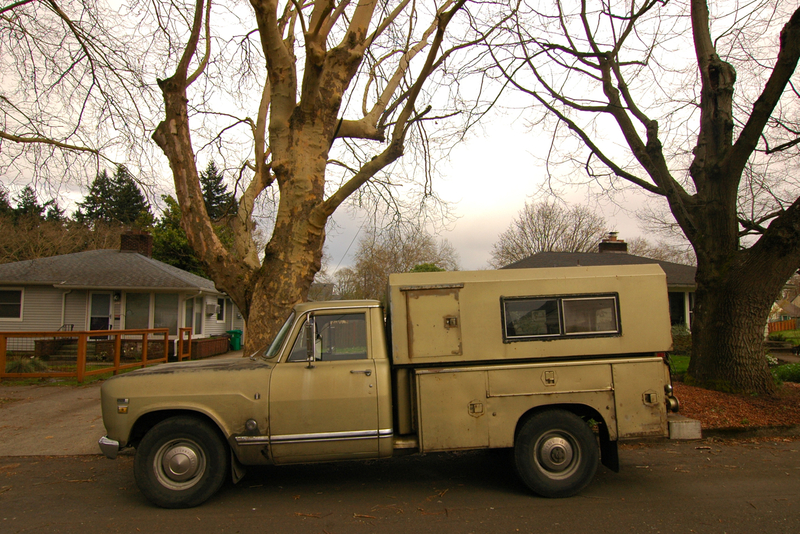 when i photographed this car in its driveway, my hunch was that it never, ever moved. how wrong i was! 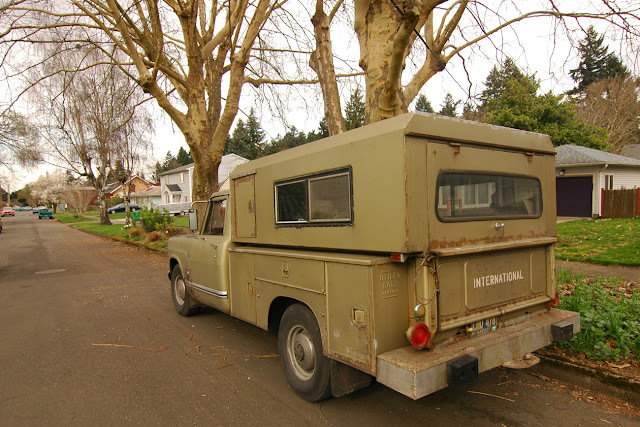 look at all that utilitarian functionality. 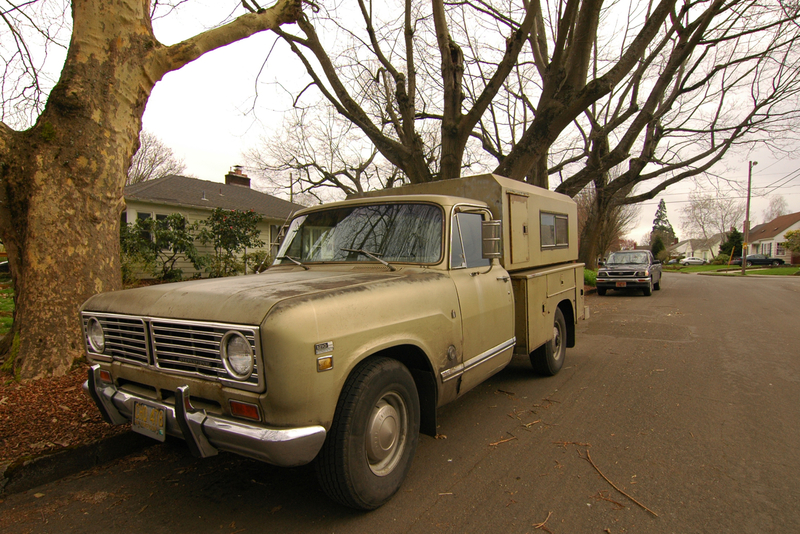 and now we have a profile shot and a rear angle. 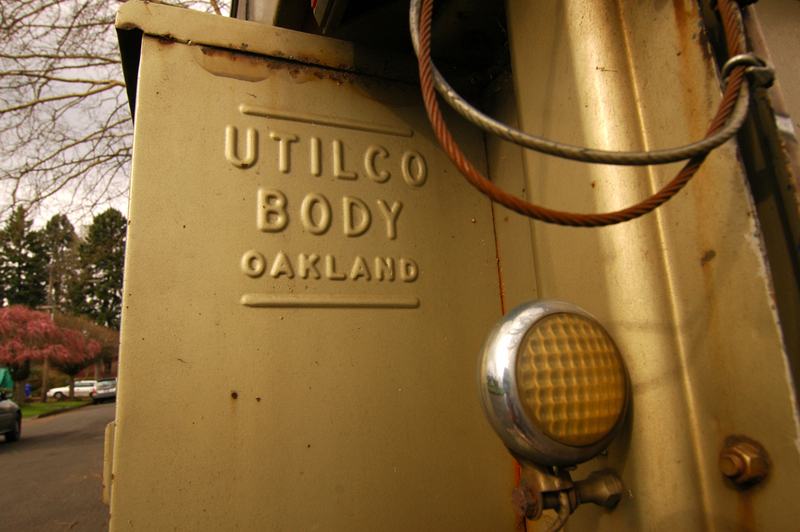 thank you for the "UTILCO BODY OAKLAND" detail. No fun, no frills, just function. Love that "UTILCO BODY OAKALND" badge pressed in the metal.